It may look like the trees you see every day are just standing around, blowing in the wind and soaking up the sun. But don’t judge a tree by its cover … these amazing perennial plants are a hard-working bunch. 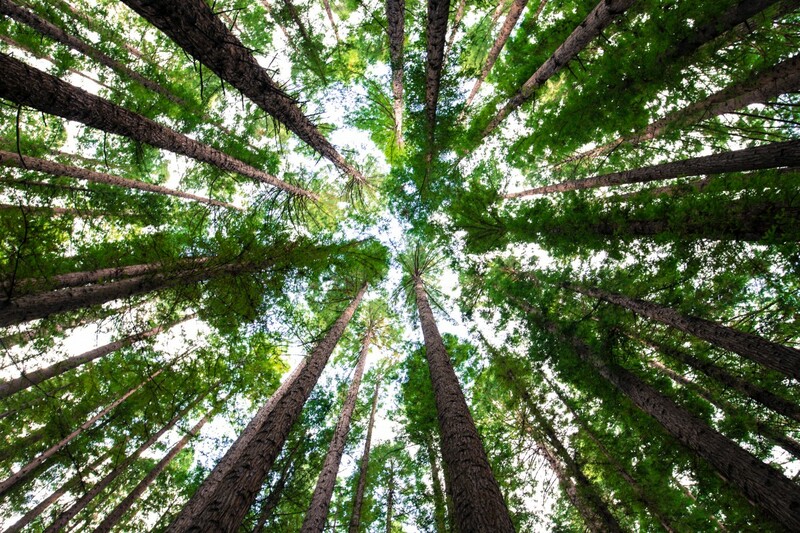 Two mature trees can supply enough oxygen annually to support a family of four, and trees absorb one ton of carbon dioxide over the course of their lives. Not to mention, their shade and wind buffering reduces annual heating and cooling costs by $2.1 billion. We could go on and on, but here’s our point. It’s time to thank our trees! Luckily there’s a day for that. National Love a Tree Day, celebrated annually on May 16, recognizes trees and all they do for us. You know, like give us the air we breathe … no big deal! Cozy up to your favorite shaded tree and read a good book. (Keep reading for suggestions). Calculate the age of a tree. Climb a tree … just play safely! Plant or water a tree. Take a nature walk in your nearby park or woods. Teach the kid in your life what their state tree is. Have your kids write a hand-written “thank you” note to our trees. Get creative. They can color pictures of trees. Even better, save a tree and create a card digitally! Take a trip to see some of the oldest trees in the world at Redwood National Park. Read Why Would Anyone Cut a Tree Down from GPO’s bookstore with a little one. This book details the life cycle of trees and explains how trees work as a renewable resource. Learn about tree species and which species grow near you in the National Individual Tree Species Atlas from GPO’s bookstore. Help restore trees to good health when they need it with How To Recognize Hazard Defects in Trees from GPO’s bookstore. So go on. Take three deep breaths, in through your nose and out through your mouth. Ahhhh. And appreciate that precious oxygen a little more this Wednesday, May 16. We salute you, trees. HOW DO I OBTAIN RESOURCES MENTIONED ABOVE? This entry was posted on Tuesday, May 15th, 2018 at 4:53 pm and is filed under Agriculture, Department of Agriculture, Environment, U.S. Department of Agriculture, U.S. Forest Service. You can follow any responses to this entry through the RSS 2.0 feed. You can leave a response, or trackback from your own site.